A collection of over 80 Weight Watchers Crock-Pot Recipes with SmartPoints listed (FreeStyle Plan) to help you in your weight loss journey following the Weight Watchers Program! In December of 2017, Lady Heidi decided to officially join Weight Watchers and make the change to a healthier lifestyle and lose some weight. While we already had some Weight Watchers friendly recipes on the blog before this time (and they are included here), Heidi decided that she was going to make a concerted effort to add even more going forward. Below you will find the recipes on this site that we have ran through the Weight Watchers recipe builder and calculated the SmartPoints on. Because sometimes the exact ingredients we use in a recipe are slightly different than the ingredients you use in a recipe we do however suggest that you run the recipe through the Recipe Builder on your own using the exact ingredient you use when cooking. And of course, we are not nutritionists or dietitians or doctors and cannot give medical advice on Weight Loss. 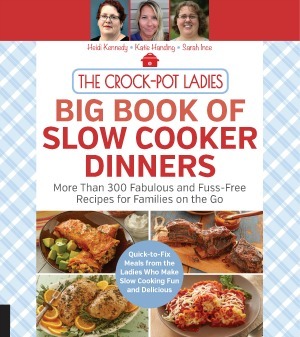 Not all of our recipes here at Crock-Pot Ladies are Weight Watchers friendly. In fact we are only listing here the recipes that come out at 10 SmartPoints or under. We welcome you to explore these recipes and bookmark or Pin this page on Pinterest to save it for later because as we add new Weight Watchers recipes to the site they will automatically be added to this page so that this page will become an invaluable resource for Weight Watchers Crock-Pot Recipes for those of you who are looking to lose weight but still want easy slow cooker recipes. We also have some low point spice mixes included in this list too. These are not Crock-Pot recipes, but they are seasonings we make and use often in our recipes because we like to make our own spices and seasoning mixes whenever we can so that we can control the ingredients and what is in them. Also…be sure to scroll to the bottom of this page for our list of resources! Below you will find a list of some of our favorite resources to help you lose weight with the Weight Watchers plan. JOIN – Weight Watchers has several options for you to join the program. You can choose to do the program online only with access to their website and mobile app. You can also sign up to attend local meetings which will also add the online and app access. To learn about the different programs and current pricing check out the Weight Watchers Plans section of their website. SUPPORT – If you are looking for a wonderful online support group that is filled with resources, support, motivation, tips, recipes, and more might we suggest joining the Facebook group SmartPoints/Flex/Freestyle Plan Weight Watchers Recipes & Support where Lady Heidi is also a moderator of the group that is run by Katie from the blog YouBrewMyTea.com. TOOLS – Below we have selected some of our favorite tools from Amazon that we feel are great additions to helping you follow the plan. Food Scale – This scale is inexpensive, accurate and comes highly rated on Amazon. Weighing your food is important so that you can make sure you are eating the proper serving sizes. Measuring Cups & Spoons – These collapsible food measuring cups store nicely away in a drawer in your kitchen and the included spoons nest together so they don’t take up space. You might want to consider having two sets on hand. One in the kitchen and another set stashed away in a plastic bag in your purse so you can measure food when out and about. Bathroom Scale – If you opt to do the online only program you won’t go to a meeting to weigh in each week so having a reliable and accurate bathroom scale at home is a good idea. This is the one that Heidi has and it is great. Plus it goes up to 400 pounds and can also weigh in kilograms too. HOTPOP Microwave Popcorn Popper – Popcorn is a healthy snack as long as you don’t load it up with too much butter, oil and salt. We have 4 of these HOTPOP silicone microwave popcorn poppers in our household so that multiple people can have and make their own bowl of popcorn. My kids are old enough (9, 10, 13, 13 and 14) to operate the microwave and make their own popcorn. And I love that 2 cups of air popped popcorn is just 2 points! I season mine with a little Mrs. Dash or garlic salt. 200+ ZERO POINT FOOD LIST – You can find the entire list of all 200+ zero point foods over on the Weight Watchers website.